I saw this image and was amazed at how life-like it looked. Does anyone know what the name of this pack is? Sorry, but at this level of PJEG there's really no way to tell. Although I don't think it's actually the pack that you want. What makes it so lifelike is the water, which is part of a shader mod. Most likely Sonic Ether's Unbelievable Shaders. It's way to dark for me to tell. Oooh, another Minecraft Forums rip-off. That image just looks like the Default resource pack with shaders. It says the pack used at the bottom of that page. 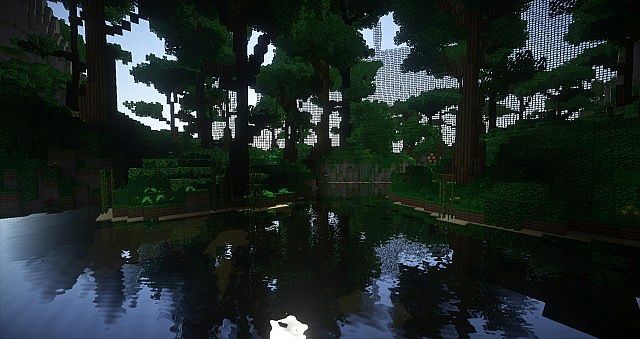 The fancy water and lighting though would be the result of a shader mod.